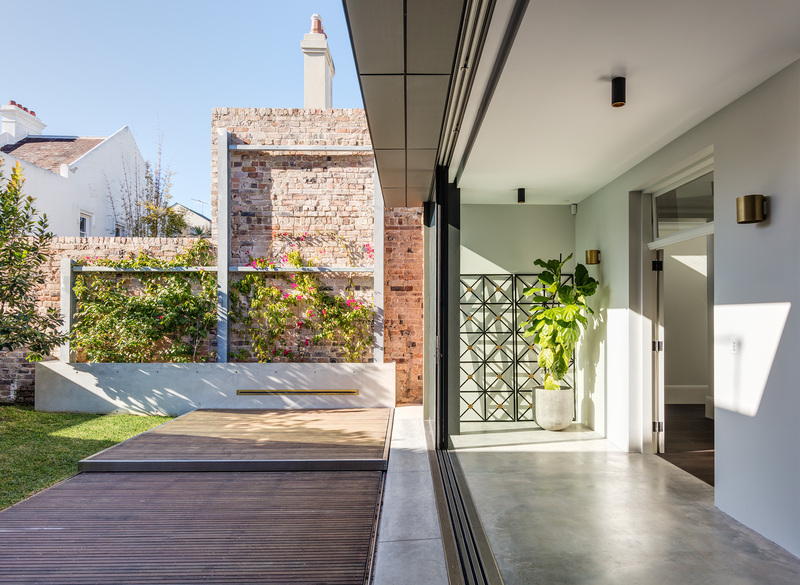 From the atriums of ancient Pompeii to the tiny terrace courtyards of Sydney’s inner suburbs. Alluring outdoor spaces have always been a luxury of contemporary living. As such, there seems to be no movement away from this trend anytime soon. With families increasingly spending time within the home, the outdoor spaces which we create need to cater to flexible activities and events. Connection to the environment is not only essential for personal wellbeing, but also forms an important aspect of social and cultural life. Interaction is encouraged by space which are seamless outdoor extensions of interior living spaces. Firstly, the charm of the humble courtyard is the air of privacy and protection they offer. Their inviting spaces exude intimacy, regardless of their size and endorse conversation within their boundaries. Within this serene space, is held an important role in the lives of its occupants. Courtyards and enclosed gardens allow for a private design which reflect the personalities and social desires for the users. They present an opportunity for architecture to create versatile outdoor rooms and internalised facades. Their bright sounds flow into the living spaces of a home, luring guests. The opportunity to bring natural light into the heart of interior living spaces is one too good to pass up. Roth Architecture capitalises on this potential. Transition areas are completely opened up, while clean lines lead the user through them. Where practical, the use of glass ceiling features connect outdoor living spaces to the interior, while also reducing the physical obstacles which block sight lines to outdoor spaces. This results in open, fluid spaces. We create concepts which, in their material choices and design, allow for traditional barriers between the in and outside world to be blurred. On the the guiding principles is ‘design to the environment’. Whether it be a sprawling farm property or a inner city block with little privacy, there is always an innovated way for us to bring the environment into a design. Courtyard and garden spaces can humanise the scale of large properties, making daunting open land more intimate and usable. They can also create the appearance of vast space in constrained environments. The beauty of well designed indoor/outdoor living is the lack of dominance it commands in a home. For example, in our designs we use light wells, courtyards and gardens as interval rooms. They are negative spaces like a void which has come into being by virtue of the solid forms that surround it. Finally, Robert Nelson, author of The Courtyard Inside and Out, beautifully suggests that interval rooms are “presence which is made of absence”. For more information and inspiration, take a look at our projects page.